On a Wednesday night, I was on the hunt for a BBQ spot that was a short distance from my campus. 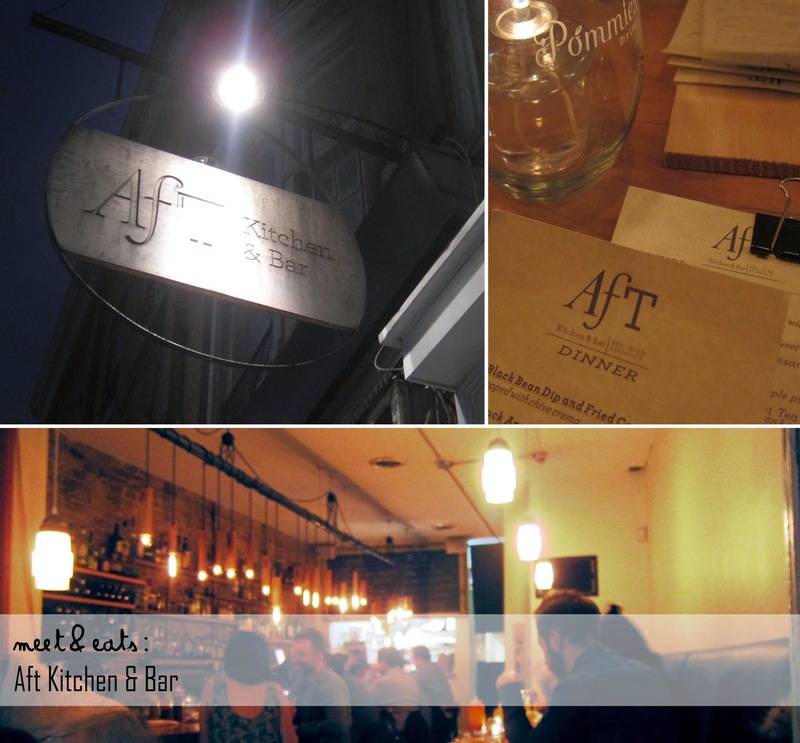 A quick search, and Aft Kitchen & Bar was immediately brought to my attention. It was a pleasant 20 minute walk to the end of King Street, and trialing over the bridge onto Queen Street East. Upon entrance, I knew that this spot was going to be fantastic. Beautifully dimmed, cozy bar seating is available, two chalkboards: one with drinks and the next with specials - this spot was already bustling at 6PM on a weekday. This was the very recommendation by the server. On it's own, it was super tangy, the breading was packed with a ton of herbs and held a juicy bite, but with the much-needed dip, it was all slightly muted, delicious! Incredible. The battered bits of the Chicken Breast was insane! The meat was spectacularly juicy and tender. Bone and all, it was such a nice big piece! 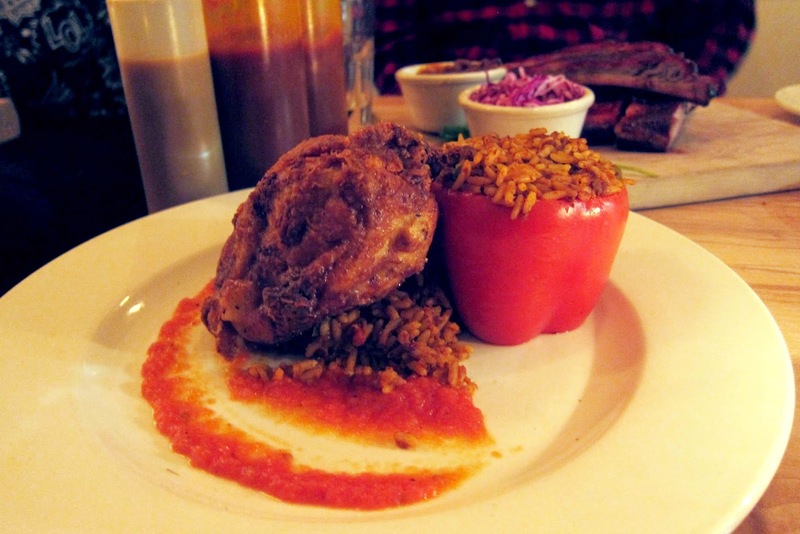 The rice was wonderfully spiced and filled with tender pieces of Beef and Pork. I had a whole dang farm on my dish! These are Pork Side Ribs served with Coleslaw and Baked Beans. Beautifully glazed and tender. Perfection. The only thing is that the service isn't anything I found exceptional, it was probably only this time around - she definitely didn't want to be there. But, anyway! 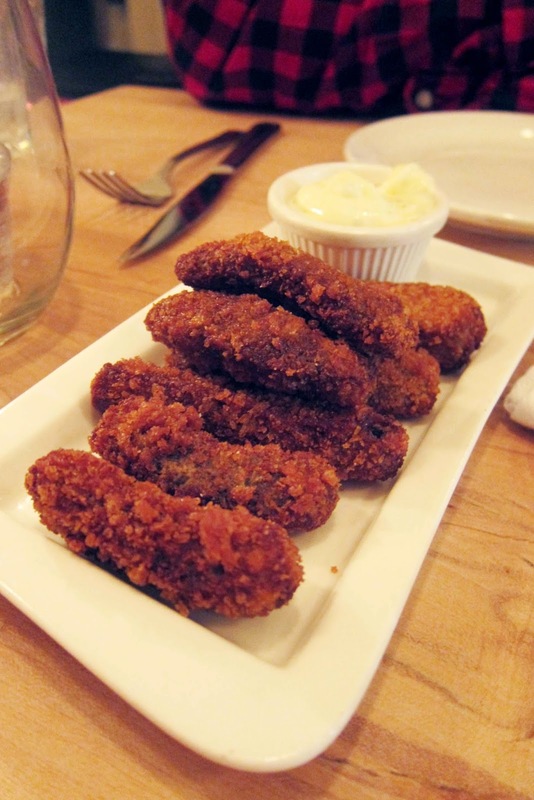 Come for the food, I've definitely found a new must-hit-up in the East end. Well done.